These wooden pieces make up the first, second and third step of a 90-degree winder that turns to the right. We have a selection of hardwoods and softwoods that these treads can be produced in. A staircase which uses a sequence of winders can form circular, curved, winder or spiral staircases, so you can create a staircase that suits exact specifications. 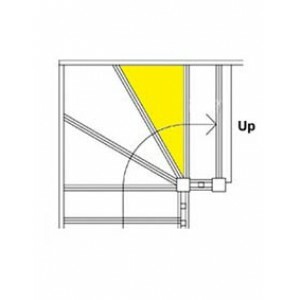 A typical winder if formed with three steps and makes a right angled turn to the left or right. We supply pre-made winder treads in planks an inside winder angle of 30-degrees. 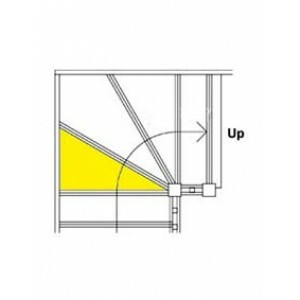 Winder treads for stairs are intended for use on staircases that include winder steps. These are the triangular step that is narrower on one side than the other. 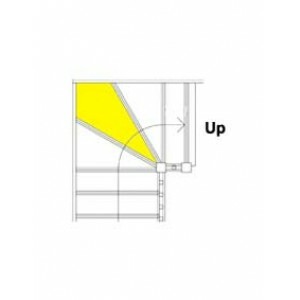 They are used as an alternative to a landing to change the direction of a staircase. These treads are to be used with winder risers.